When the Isle of Gigha was put on the market in 2001 the community debated whether to buy the island themselves. The islanders were encouraged by the local MSP, George Lyon, and other bodies to take this step, which was unusual at the time and put Gigha in the vanguard of the Scottish land reform movement. The community voted on the proposals and a Committee was elected with seven members, supported by advisors, to take the plan forward and the Isle of Gigha Heritage Trust was established. The Scottish Land Fund and the Highlands and Islands Enterprise supported the community’s plans with grants to secure Gigha for the Trust. 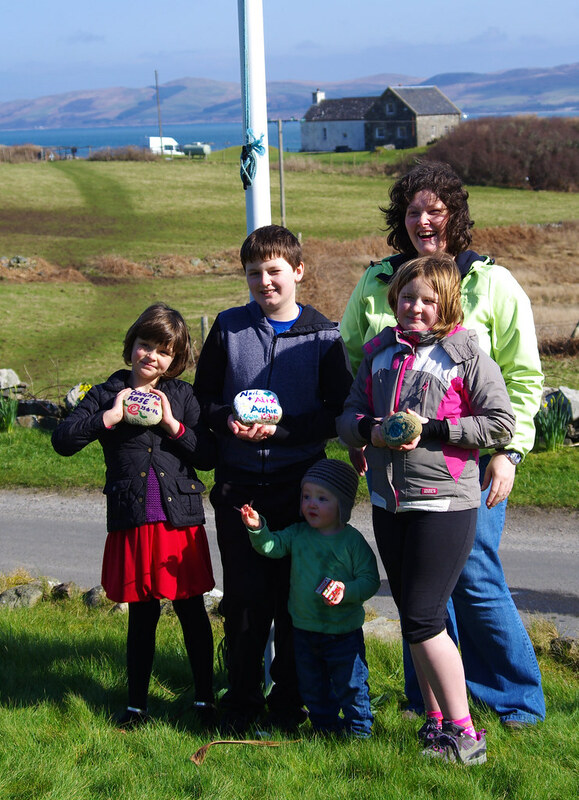 And Gigha was finally handed over to the Trust on the 15th March 2002, a day that is marked on the island every year as “Gigha Day”. However the Scottish Land Fund required the repayment of £1,000,000 (one million) pounds by March 2004, an onerous task for a community with a population of just over 100 people! 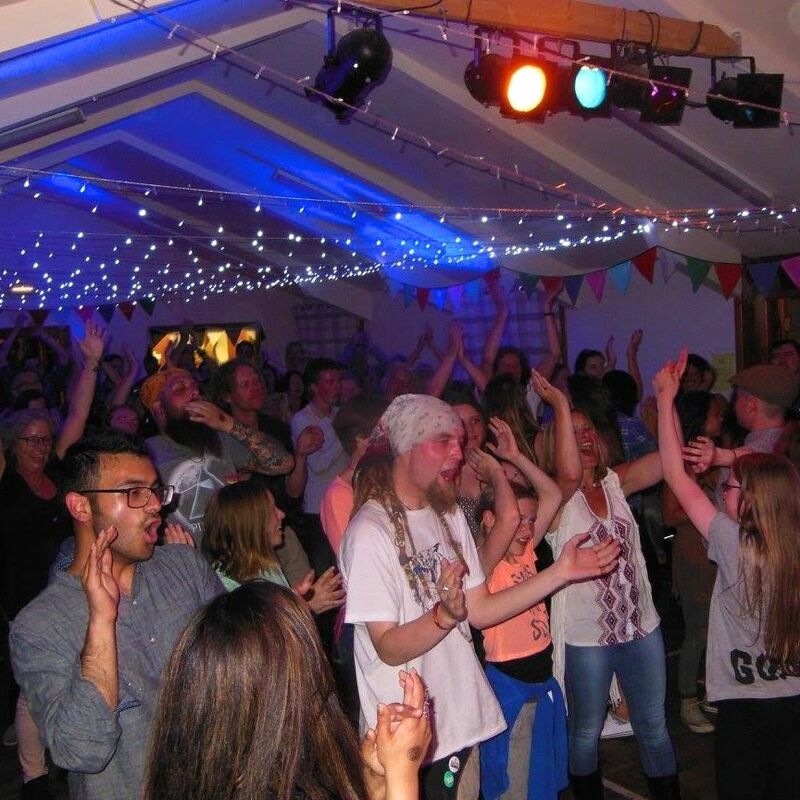 In true Gigha style, the islanders rose to the challenge and the funds were raised by the community through soup 'n' sandwich days, ceilidhs, sponsored slims, quiz nights, sponsored rows around the island, the sale of Achamore House and many more ventures. The one million pounds was paid within a year. The islanders have since invested more than £4,000,000 (four million) pounds in Gigha with the support of many agencies and a lot of hard work! The Trust is managed by seven Directors. They are elected by the membership to develop the assets of the island, and take forward plans and projects for the community. There are several subsidiary companies, Gigha Trading Ltd, Gigha Green Power Ltd and Gigha Renewable Energy Ltd, developing and managing projects and assets including the hotel, self catering cottages, moorings, wind turbines and many other aspects of the island businesses. All profits are returned to the Trust to continue to develop the island. There is a small staff team to support these Boards, and many volunteers undertake a wide variety of jobs and projects for the island. Not only do our visitors support Gigha when they use the hotel, shop, moorings, accommodation and other facilities but it is not unknown for visitors to come to Gigha in a voluntary capacity to help in Achamore Gardens or with other projects! 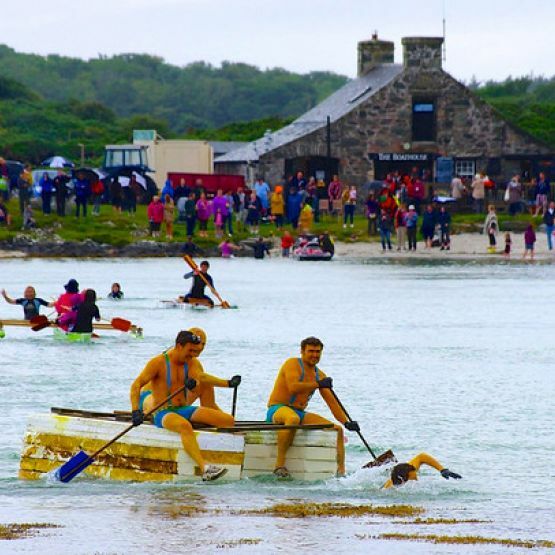 Gigha has changed substantially since the buy-out and while the beauty of the island is as timeless as ever the facilities and the infrastructure have been steadily improved. New award-winning housing has been built and existing houses renovated as part of an ongoing investment programme, and the Trust has sold 11 plots for private development giving islanders and incomers new opportunities. 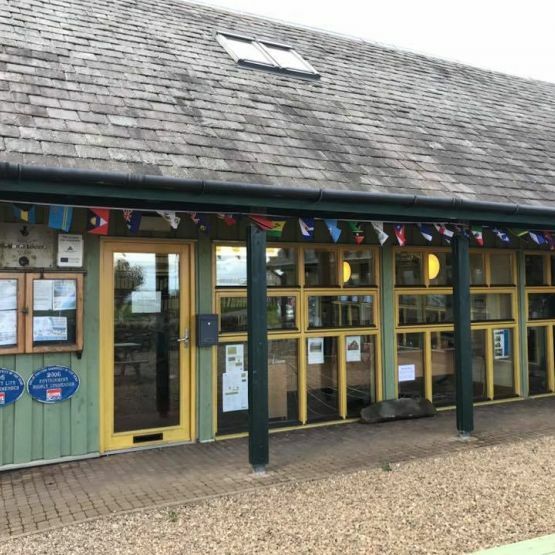 The population decline has been reversed and there are over 165 people now living on Gigha with an increased school role promising well for the future. To add to the established dairy farms and aquaculture on Gigha, the buy-out has also encouraged many other businesses to become established. 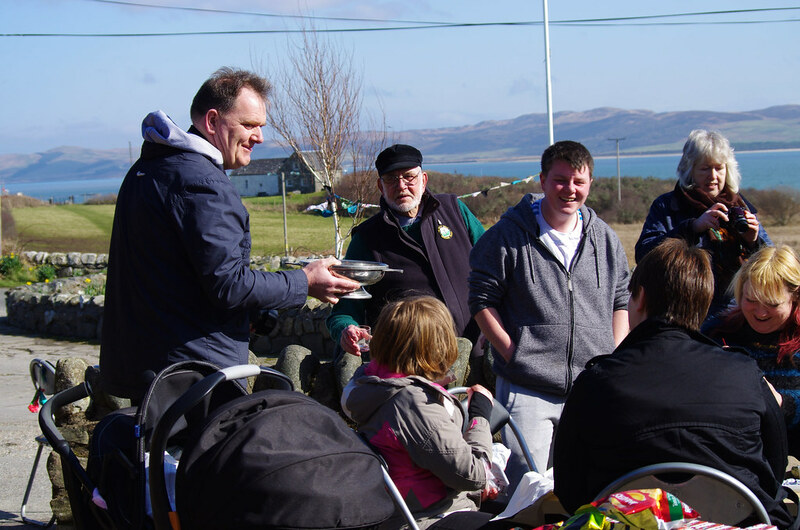 More visitors and improved facilities have enabled both islanders and others settling in the community to develop their enterprises and add to the economic growth of Gigha. While remaining a great place to explore it has also become a good place for many to set up home and make a new life.